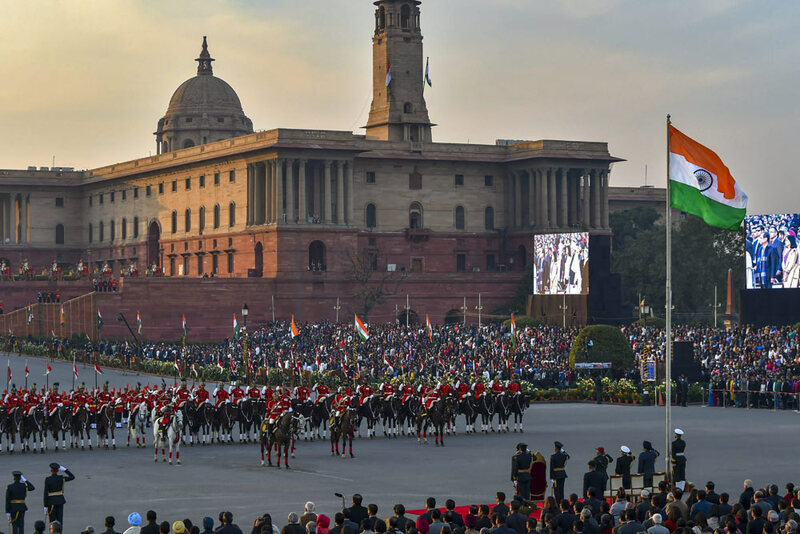 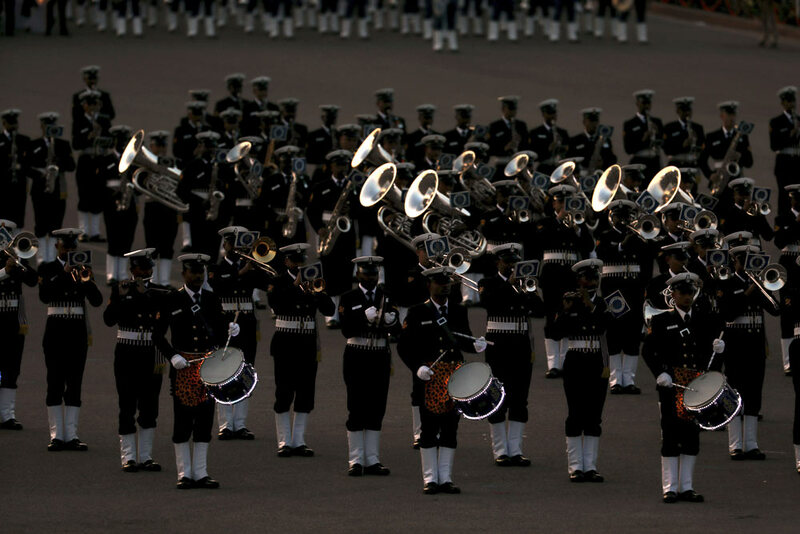 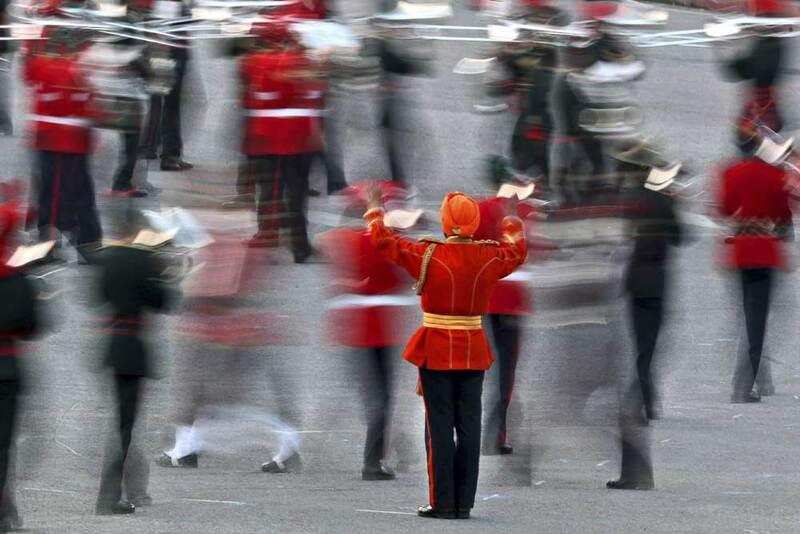 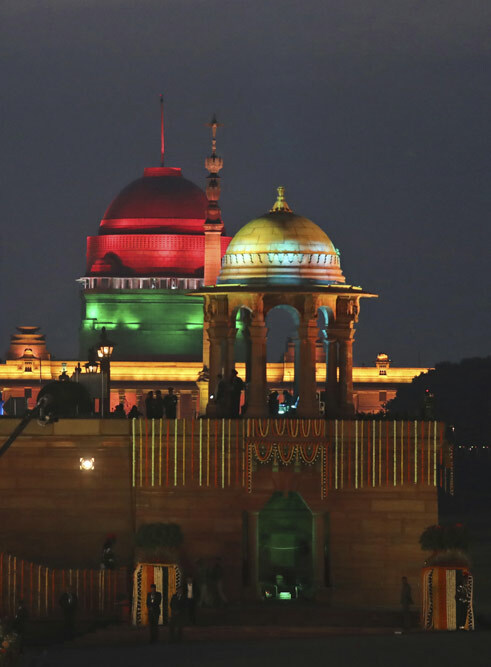 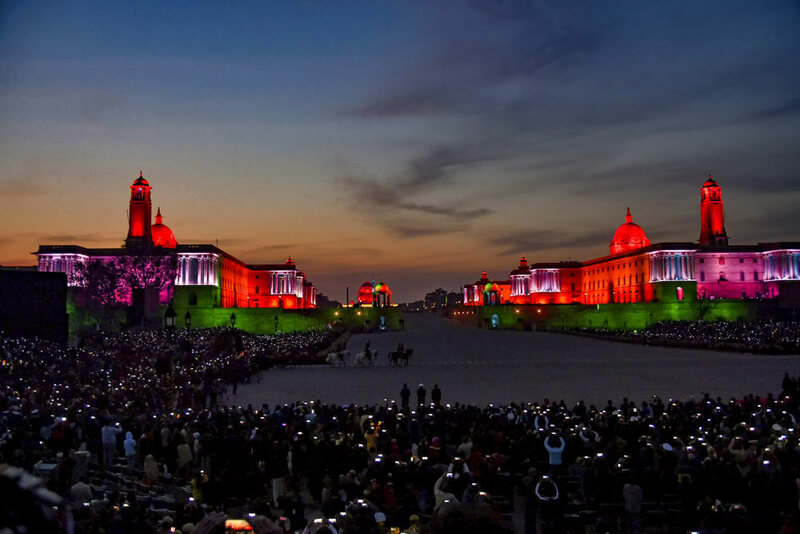 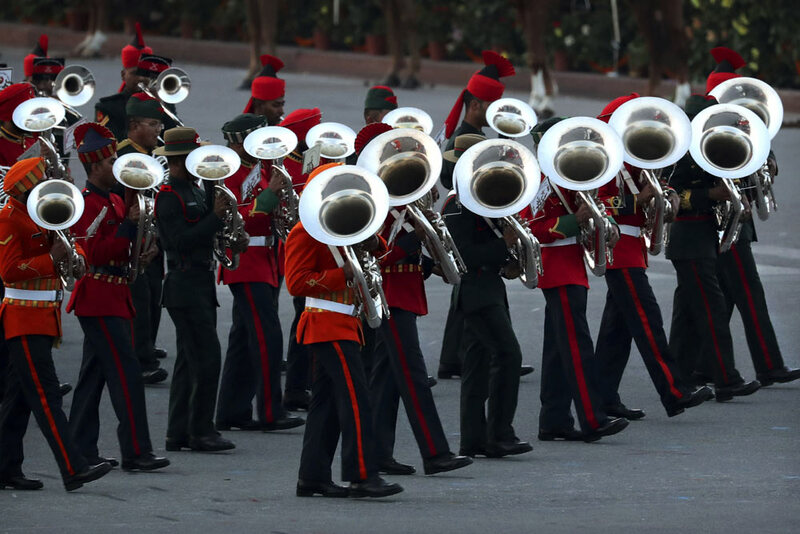 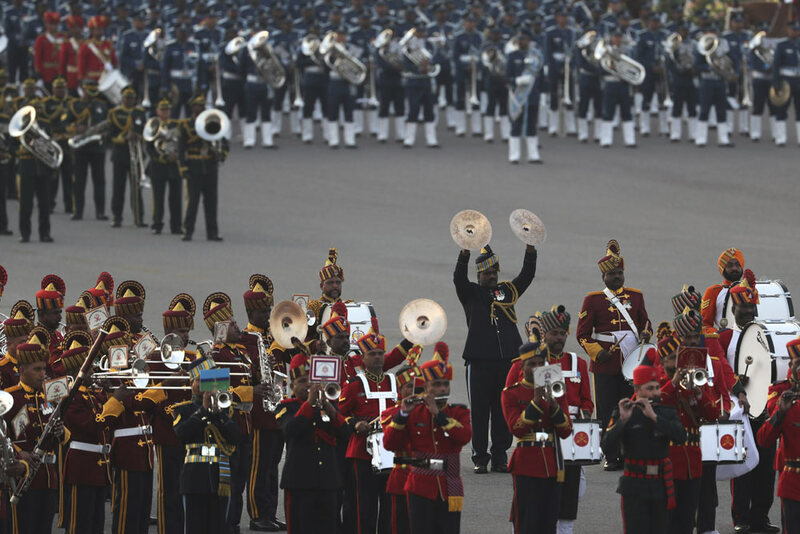 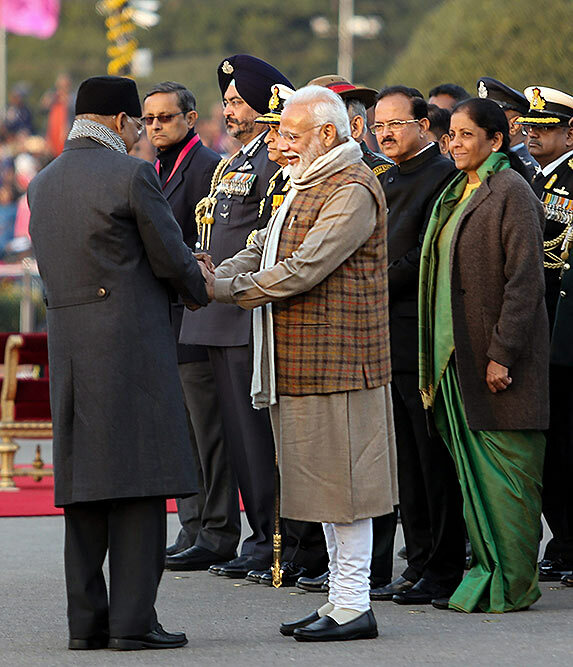 The ceremony marks the end of the annual Republic Day festivities. 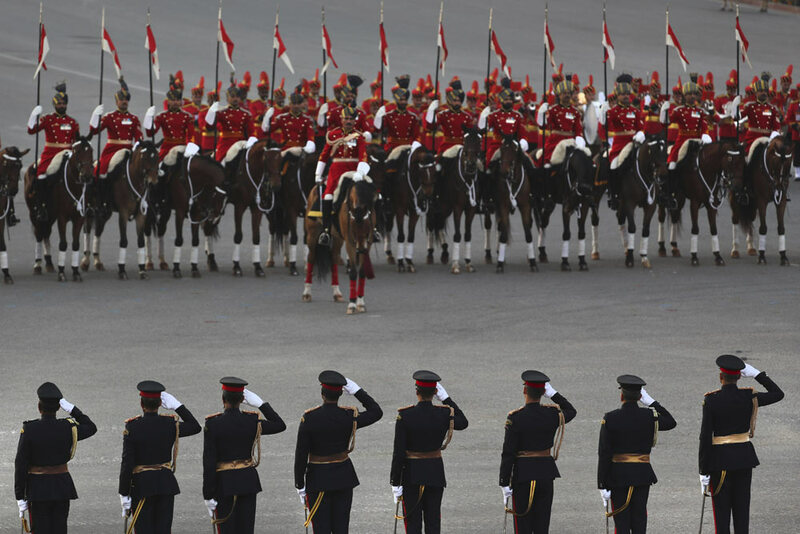 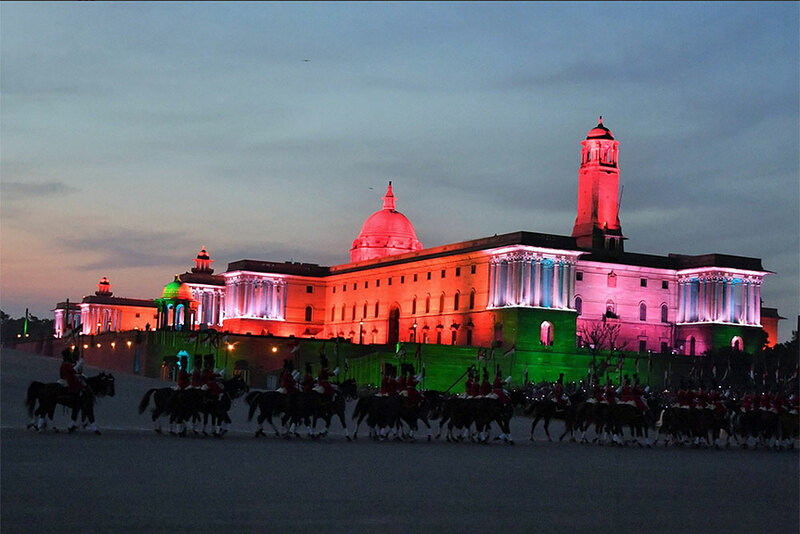 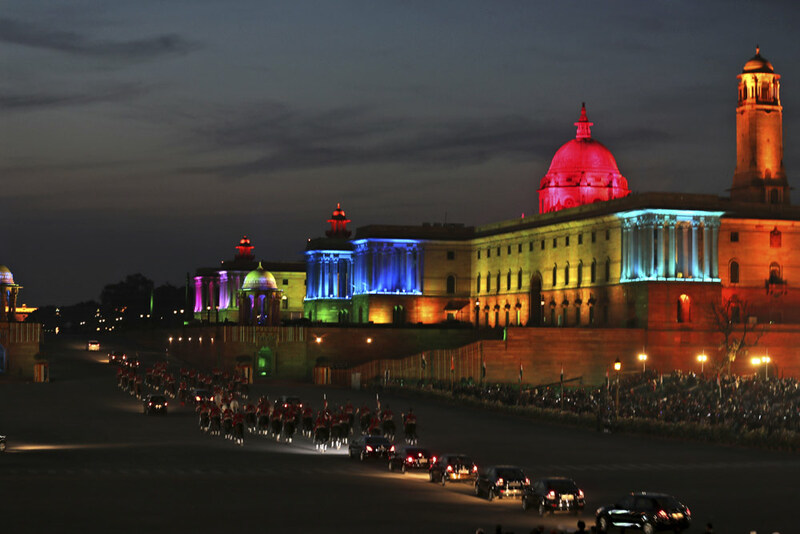 The President's cavalcade leave escorted by horse-mounted presidential bodyguards, past the illuminated north and south blocks, the government seat of power, at the end of the Beating Retreat ceremony at Raisina Hills, in New Delhi. 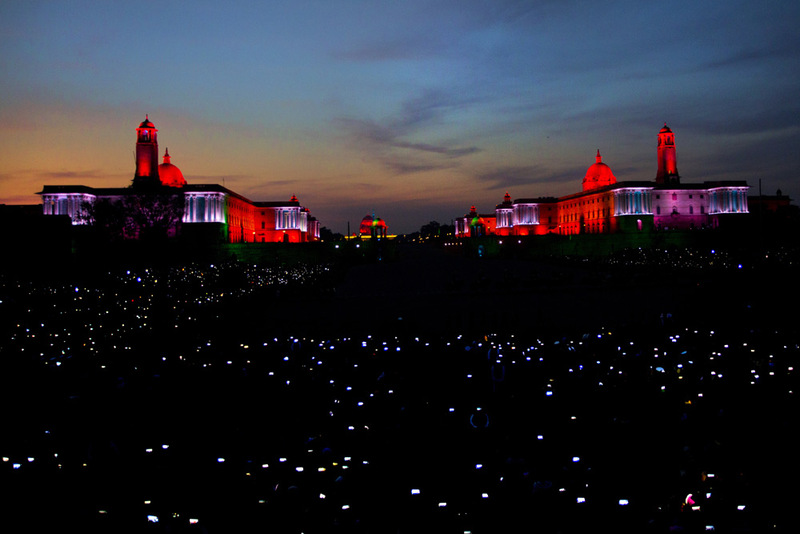 Members of the crowd hold up their mobile phones to take pictures of the illuminated Indian Presidential Palace, center, and the north and south blocks, the government seat of power, at the end of the Beating Retreat ceremony at Raisina hills, in New Delhi. 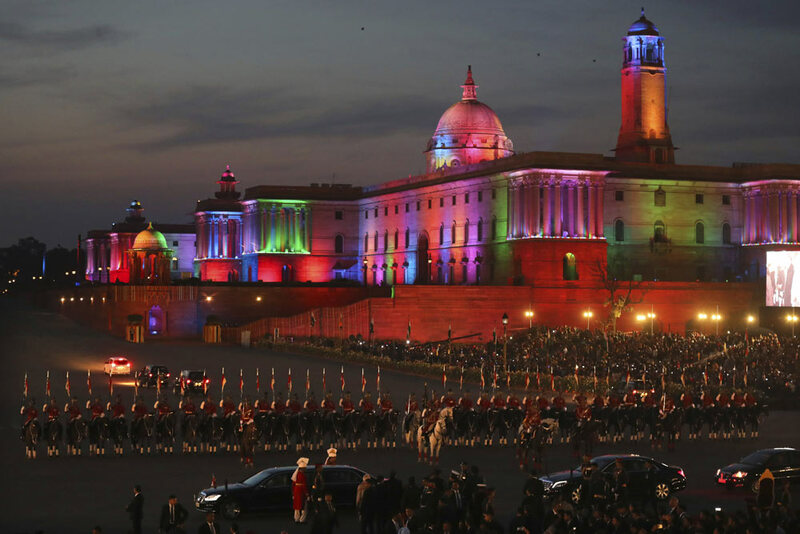 The ceremony marks the end of the annual Republic Day festivities.